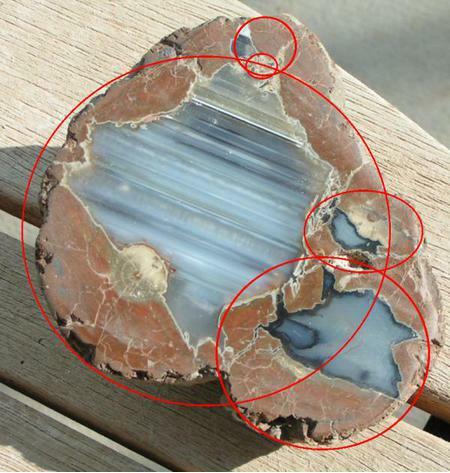 Thunder Egg: Mineral information, data and localities. 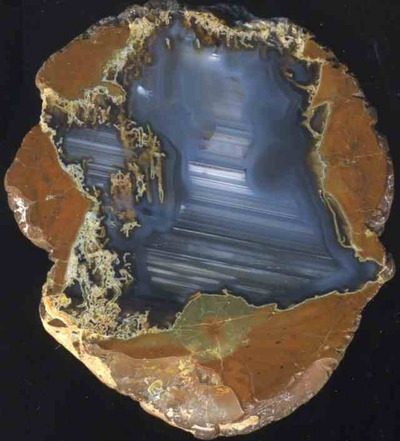 A Thunder Egg is a nodule-like or geode-like geological structure with some adhering silicified host rock comprising the outer zone of the thunder egg. Thunder Eggs are usually composed of quartz, agate, opal, and/or visibly crystalline quartz. A common feature of thunder eggs is that the infilling material might not have concentrically formed layers. Often thunder eggs have both an outer zone that is concentric but the central material is layered as if they were sedimentary layers. The layers may have contrasting colors. An origin for thunder eggs that has been proposed is that they are the interior of cavities/vesicles/gas bubbles in rhyolitic lava flows. As the silica-filled cavities are harder than the surrounding rock they are often weathered out, or partly weathered out, of their source rock. Agate 13 photos of Thunder Egg associated with Agate on mindat.org. Opal 7 photos of Thunder Egg associated with Opal on mindat.org. Chalcedony 5 photos of Thunder Egg associated with Chalcedony on mindat.org. Quartz 4 photos of Thunder Egg associated with Quartz on mindat.org. Precious Opal 2 photos of Thunder Egg associated with Precious Opal on mindat.org. Calcite 2 photos of Thunder Egg associated with Calcite on mindat.org. 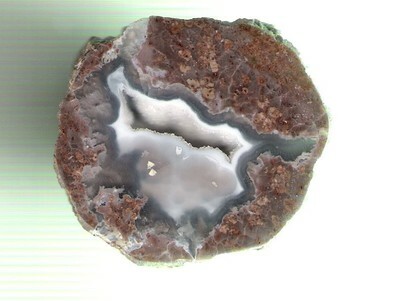 1 photo of Thunder Egg associated with on mindat.org. Plume Agate 1 photo of Thunder Egg associated with Plume Agate on mindat.org. 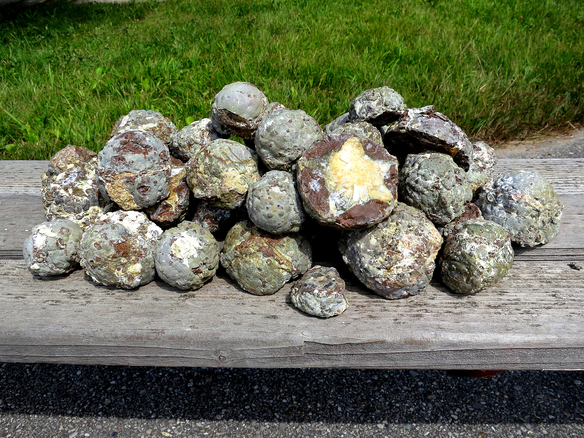 The following Thunder Egg specimens are currently listed for sale on minfind.com. ARAGON, E. et al. Petrogenesis of thundereggs in Eocene rhyolite domes of central Chubut, Patagonia. Rev. Asoc. Geol. Argent. [online]. 2006, vol.61, n.3, pp. 347-354. Cisneros, Eugene (2013), Mineralogical Research Company, private communication to Mindat/org.